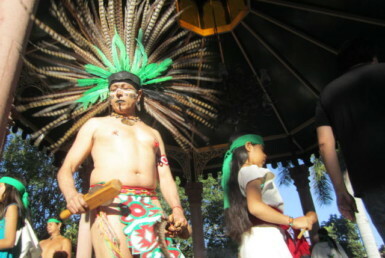 The Chapala 2013 Carnival season kicked off on Friday evening, February 1st, with a samba parade along Avenida Madero. It was followed by Entierro del Mal Humor (Burial of bad humor). On Sunday, February 10th at 11 a.m. there will be another huge Mardi gras style parade with floats, music, dance troupes, horses and much more. 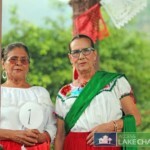 Something not to be missed if you are anywhere near Chapala that week end. I missed the evening parade but hopefully I will make it to the morning parade and I will write about it in my next article. Stay tuned. Christiana Park is easy to find. 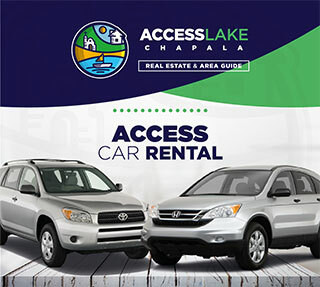 When you come into Chapala, you go east on any of the downtown streets. 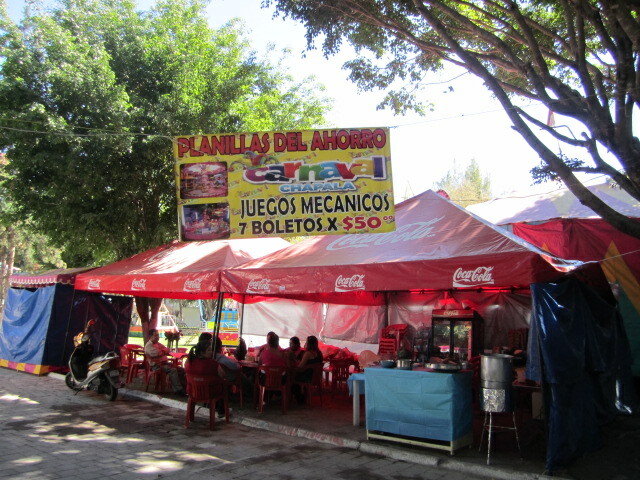 If you are on the street next to the malecon, you turn left when you get to stop light at the end of the row of restaurants. You will pass the Red Cross station and see the park on your right. If you take any of the downtown streets, you will eventually run into the park. If you get lost, ask anyone. It is a huge park. 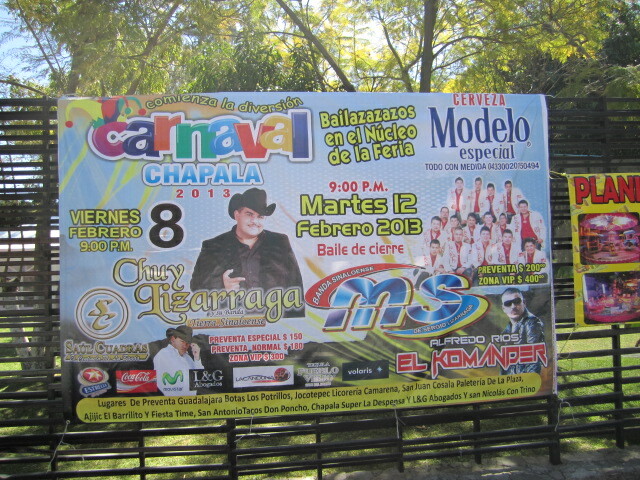 Posters are plastered all over Chapala and Ajijic advertising the various musical groups that are going to be coming to the carnival. They will perform in the amphitheater inside Christina Park in the evenings. I went to the park over the weekend to see what all was going on. The good thing is that it was too early in the day and only a few people were around. That way I could get photos of things without people being in the way. The bad thing is that it was too early in the day and only a few people were around. 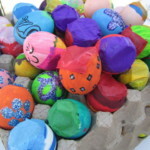 People make celebrations like this interesting. 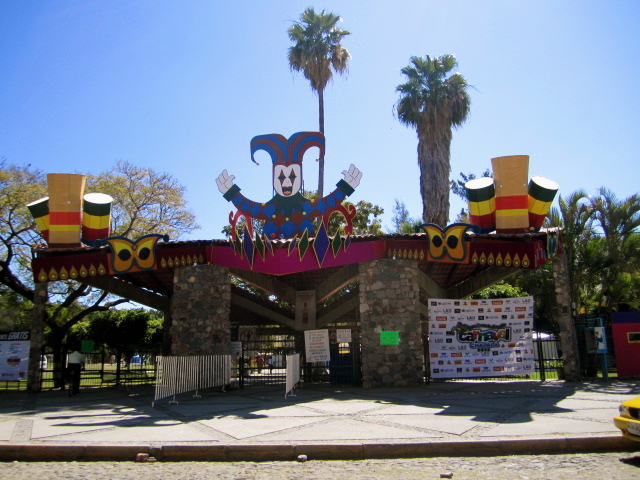 The carnival will be going on until the 12th of February. The evening music performances start at 8 p.m. with extra performances on February 8th and 10th at 6 p.m. There are lots of other things going on during the daytime hours if you, like me, are not a night person. 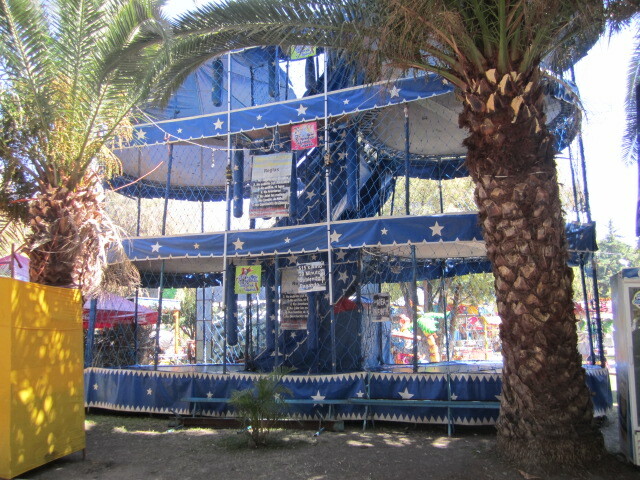 Most of the entertainment is free after you pay the admission price which is only 50 pesos. 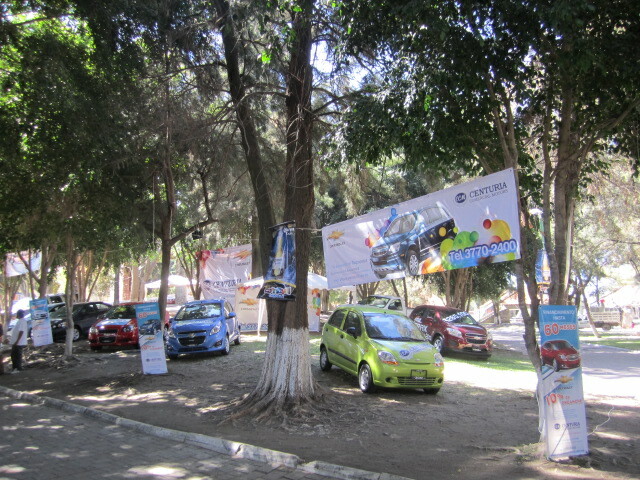 Above is a photo of a car show on the park grounds. More cars will be coming for next weekend, along with beautiful women in bikinis to show them off. There will be a live band and dancing too. This event is especially popular with the young men. 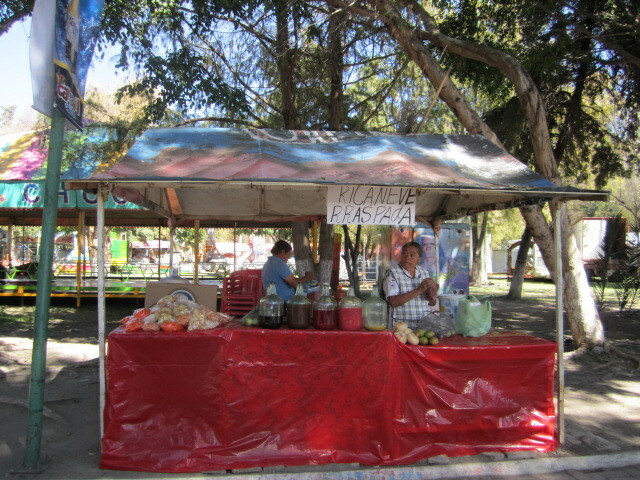 While I was there, people were setting up their food and beverage stands. It is going to take a lot of food to feed the crowds that will be coming during these twelve days. Also, a lot of beer. Some of the workers were enjoying a break at the food stands. Above is the row of food stands. It goes all the way to the lake. 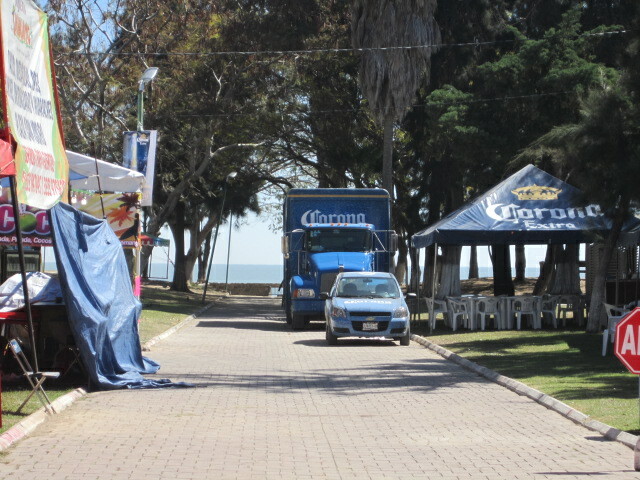 There were many beer stands and truck loads of beer were being brought in. 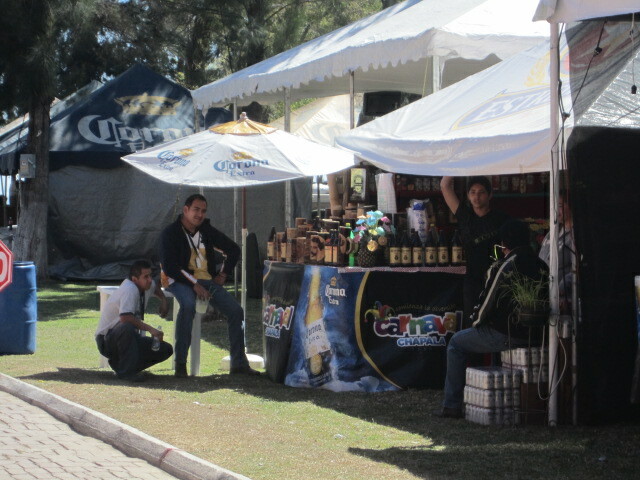 Music, dancing, beer. 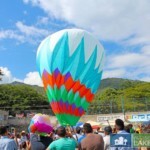 Three major components of the carnival atmosphere. If you aren’t into the music and dancing, you might enjoy the carnival rides. There were many to choose from. Some of the rides were for small children and others were for older children and even adults, like the bumper cars which aren’t in these photos. I can imagine what this bouncing area looks like with crowds of small children bouncing their hearts out. I wonder if they have a first aid station. If you feel like letting out some aggression, you can do paintball. 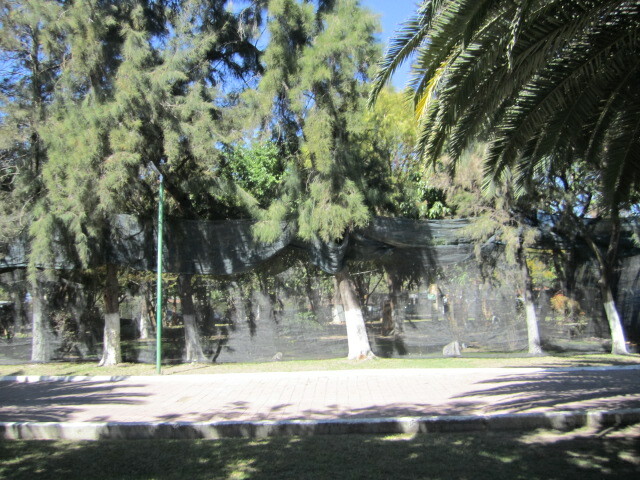 It is safely contained behind a mesh fence so you won’t paintball anyone not interested in the game, see picture below. One of the main attractions is an ice skating rink. Unfortunately, I didn’t see it on this trip. I hope to get a photo of it next weekend. I am guessing that many of the children living in this area have never seen snow or ice. This will be a real treat for them, if they don’t break anything and have to be carried off the the first aid station, which I didn’t see either. 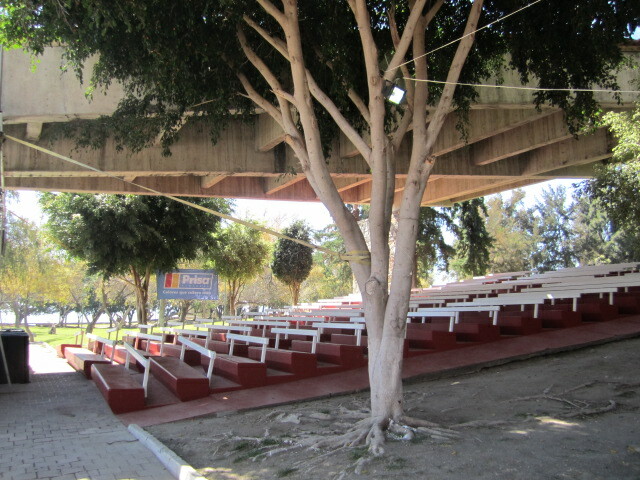 Above is a photo of the amphitheater where the performances will be held, including a daytime show of parrots doing tricks. It also looked like seals might be involved but I didn’t see the seals. Only the bored birds. The bird performance was supposed to start at noon when I was there (at least, that is what one sign said) but since I was the only person in the audience, it didn’t happen. These performances are free. They are also scheduled at 7 and 9 p.m. and 4 on week ends. Forget about the noon performance. Sign was wrong. Or else I read it wrong. That is most likely the truth since all the signs are in Spanish. My Spanish isn’t that great. The birds weren’t doing much when I was there, suspiciously eying me. I didn’t go up on the stage to get closer to them. I didn’t know their intentions. They didn’t know mine. Mutual distrust. I tried to get a schedule of all the events, including the bands, but no such luck. If you look on the billboards that are plastered all over this area, you will see the various bands advertised and the nights of their performances. 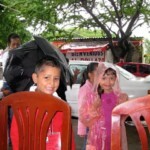 Most of them play the Banda music which seems to be the most popular music in Mexico. These are big name groups and they will be well attended. 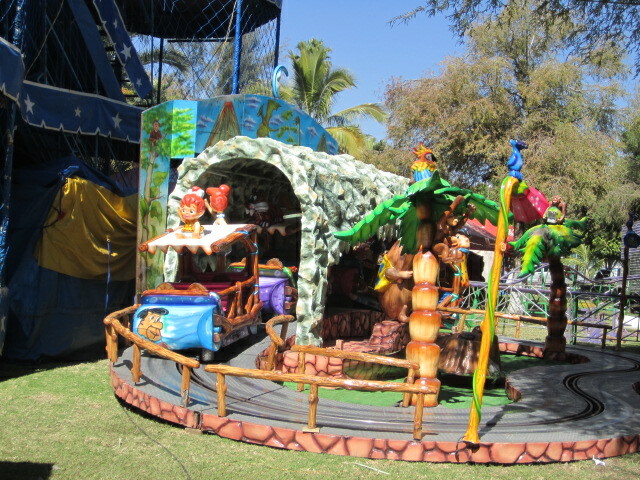 Banda Carnaval opened on February 1st. Chuy Lizarraga will play February 8th, Komander and Banda MS will play on the February 12 finale. You have to buy tickets for these groups but there are also free shows of less well known groups. They will be on February 2nd, 9th and 11th. There will also be other kinds of music if you aren’t a fan of the Banda, which I am not. Electro Fest is set for February 3rd at 6 p.m. Admission is 50 pesos. There will be several guest DJs spinning sound. Hard Rock bands will appear at the Rock Fest, February 5th at 8 p.m. Free entry. And my favorite Mariachi group, which is known as the Best Mariachi Group in the World, Mariachi Vargas will play with Sonora Chocolate Cumbia band at the Queen Pageant and Coronation on February 6th at 9 p.m. Admission is only 150 pesos for this spectacular event. 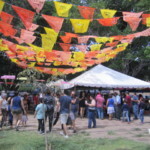 The Baile del Recuerdo will feature romantic dance music. It will be on February 10th at 8 p.m. admission 50 pesos. A Lucha Libre wrestling match is slated for Monday, February 4th at 7 p.m. Free of charge. 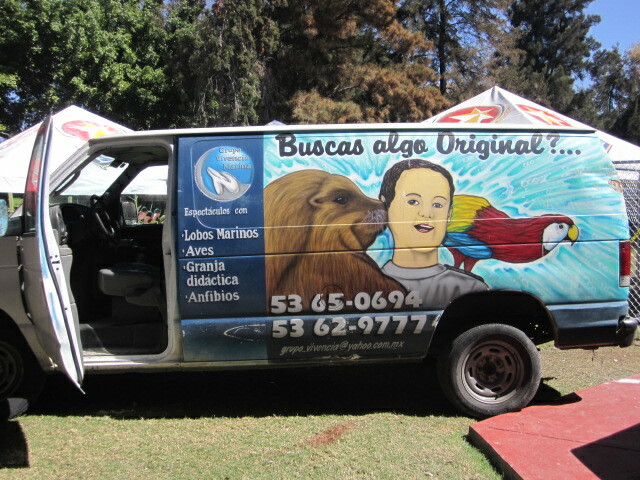 And of course the fifth annual Bikini Car Fest with scantily clad models showing off the classic cars, will be held Sunday, February 10th from 10 a.m. 50 peso entrance for adults, 20 pesos for kids. 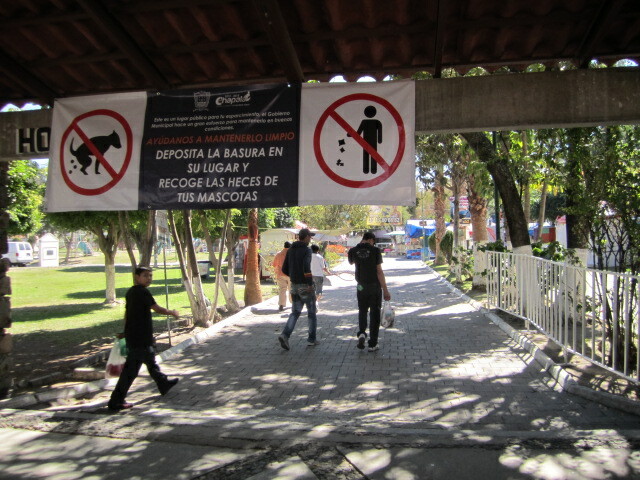 There will also be a series of events held in the bull ring opposite the Pemex station at the north entrance of town. 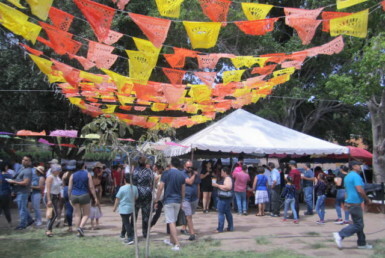 There will be bull riding, roping contests and live Banda music. These will be held February 3, 8, 9, 10, 11 and 12th. All at 4 p.m. Free admission on all days except the 10th. 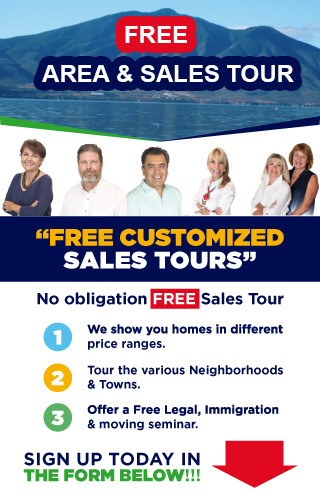 As you can see from the above schedule, Chapala is going to be very lively these next twelve days. 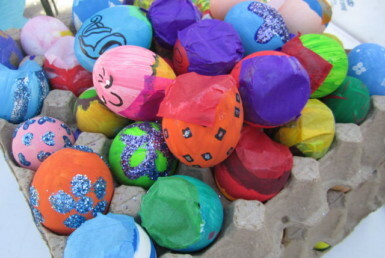 I hope you will get a chance to enjoy some if not all of the festivities.